Many health insurance plans require you to pay a copay and/or coinsurance when you receive healthcare services, including doctor’s office visits, hospital visits and prescriptions. These payments are necessary until you reach your out of pocket maximum, but how they work with your annual deductible is different. Learning the difference between these expenses can help you better understand your total annual healthcare costs, above and beyond your monthly insurance premiums. Coinsurance: The percentage you pay for covered health services after meeting your deductible. Some health insurance plans also include coinsurance, which is the percentage you and your insurance provider share to pay for the cost of care. As more of the cost of healthcare shifts to the patients, you may be feeling the impact of rising premiums and deductibles. Since these are often the first expenses you’ll pay for healthcare, it’s important to understand what these terms mean and how they affect your budget. Premium: What you pay each month for your health insurance plan. When you have health insurance, you pay a premium to be enrolled in the plan. 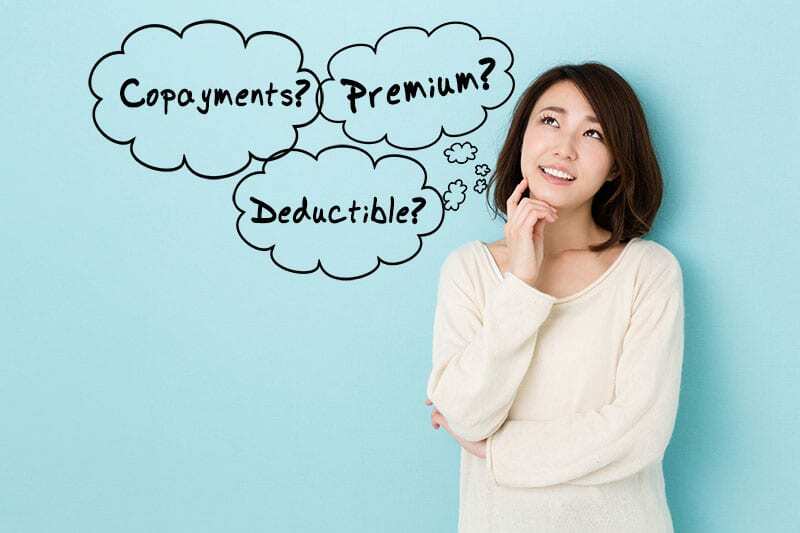 Premiums are paid in addition to your plan’s deductible or copay or coinsurance. Deductible: How much you have to pay out-of-pocket before insurance pays. Every insurance plan has a deductible which varies based on the details of your plan. Your deductible must be met before your insurance will pay for covered expenses—excluding any copay or coinsurance required by your plan. Deductibles reset once a year, which means you’ll have to meet it again each year you are enrolled. You are going to have a baby. The cost for the physician is $2,300. You have health insurance with a $300 monthly premium, which doesn’t apply to your pregnancy. In addition to your premium, you have a $2,000 deductible you’ll have to pay on your own before insurance will cover any of the remaining costs. Once you meet your deductible, you pay any coinsurance responsibility per your plan requirements. Our goal at Celebration ObGyn is to provide the best customer service possible by helping our patients better understand the confusion around insurance, copays, coinsurance and deductibles. We always recommend patients to also contact your insurance company for further understanding of your plan and financial responsibilities. January is Cervical Cancer Awareness Month!! Each year, an estimated 12,000 women are diagnosed with cervical cancer, and, of those, about one-third will die as a result of the cancer. But cervical cancer is also a highly preventable and treatable cancer, thanks to improved screening and vaccination. The American Social Health Association (ASHA) and the National Cervical Cancer Coalition have named January Cervical Health Awareness Month to encourage women across the country to get screened for cervical cancer and receive the human papillomavirus (HPV) vaccine if they’re eligible. Today, detection tools and inoculations make cervical cancer a condition that is relatively easy to prevent and treat. In women who are not vaccinated and not screened regularly, either due to a lack of information or inadequate health care, cervical cancer can still be a serious, even fatal, illness. “Science has put us in a remarkable position to protect women from cervical cancer, but technology is only half the battle,” said ASHA president and CEO Lynn Barclay. “It’s imperative we continue efforts that not only promote greater access to health care, but that we also inform women about cervical cancer and the marvelous means we now have to prevent this disease.” For cervical cancer screening information, give us a call at 407-566-BABY. PLEASE NOTE* If you're having an Emergency, please call 911!